Babies need to sleep alone in a crib or bassinet with a firm mattress and a well fitted sheet. Babies should be put to sleep on their backs during naps and at nighttime. Babies should not be placed on their sides to sleep because they may accidentally roll onto their stomachs and suffocate. Babies should not sleep on adult beds, chairs, sofas, waterbeds, cushions, or nursing pillows. Lay your baby on his/her back while sleeping at night or napping during the day. 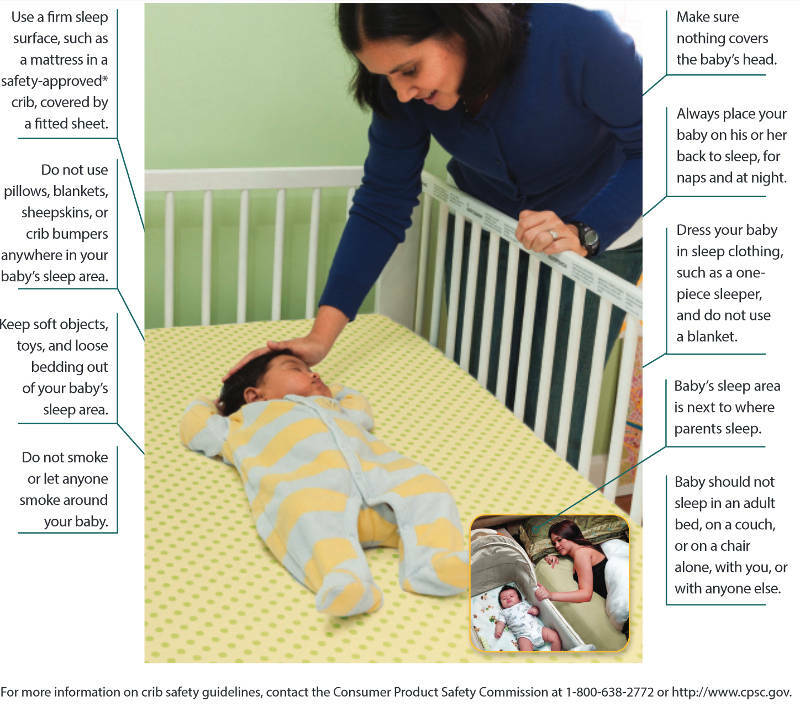 Don't put stuffed animals, crib bumpers, or other soft bedding in your baby's crib. Use a firm mattress and tightly fitted bottom sheet. If you are worried your baby will be cold, use a sleep sack, but be sure that he/she will not overheat. Never expose your baby to any type of smoke. Keep baby's sleeping area close by, but separate from where you sleep. Never let your baby sleep in your bed, or on a couch or chair. Won't my baby get flat spots? Flat spots occur when there is pressure for too long or too often on the same spot on a baby's head. Tummy Time can help prevent this from occurring. Tummy Time is when your baby is placed on his/her stomach while awake and being supervised. Placing your baby on their stomach helps to strengthen neck muscles. Where can I learn more about SIDS and Safe Sleep? 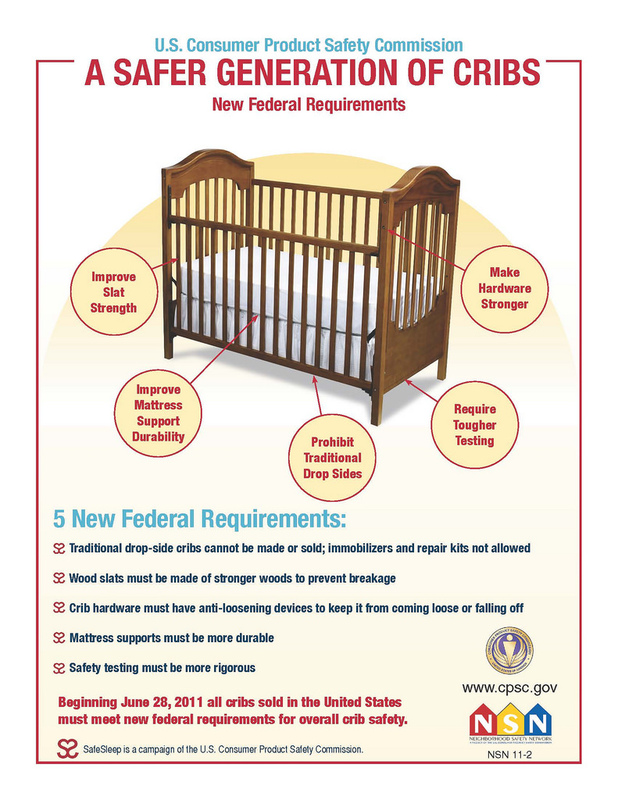 What Does a Safe Crib Look Like?